These beautiful stores carry our Tribe of Lambs products – meet our valued stockists. The Glenbow Museum is an art and history museum in the city of Calgary, Alberta, Canada. Find Tribe of Lambs jewelry in their Gift Shop’s Canadian made section. Clothing Bar Boutique, is a place of community, a place for local talent, and a place to feel like you have a second closet to run to in times of need. Clothing Bar offers consignment, small brands (like us! ), collaborative events & all the good things to nourish the local community in Calgary. Outside the Shape brings together an eclectic group of local artists and independent retailers. Combining retail space, gallery space and workshop space in Calgary’s charming Inglewood. ESMÉ Beautiful, is a holistic beauty concept shop in the heart of 17th Avenue, Calgary. They offer a stunning and ever changing selection of fresh flowers and are happy to offer pre-made or custom bouquets, our talented team of beauty professionals offers a remarkable variety of aesthetic services o meet your needs. HELPSY was founded in 2012 the belief that design-forward, cutting-edge fashion can have a positive social impact—100% of the time. Sometimes it just takes a discerning eye and a little hunting. 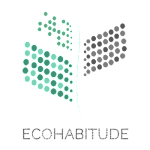 Ecohabitude is a peer-to-peer marketplace designed to bring the accessibility of socially conscious apparel, accessories, beauty products, housewares, and other ethically created products directly to consumers. They’re fulfilling the demand for transparency in products & provide a platform for consumers to easily discover & connect directly with makers of high quality, ethical brands. They support entrepreneurs & businesses – large and small- that are committed to social responsibility. Barrel ON operate the Barrel On Market as a way to connect shoppers with the world’s most environmentally friendly and socially conscious brands. They strive to sustainably raise donations to support charity projects, simply through shopping.